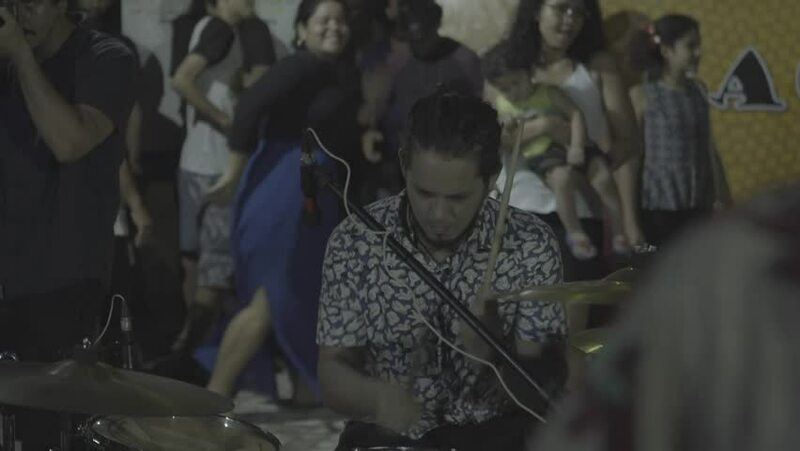 Manaus, Brazil - 2017 Wide shot showing a drummer of a band performing for a crowd, who can be seen dancing in the background. hd00:10PENNSYLVANIA - WINTER 2014 - Reenactment, Valley Forge Encampment, American Revolutionary War anniversary recreation -- in the middle of harsh winter. Freezing Continental Soldiers by fires, starving. hd00:12VIRGINIA - MAY 2017 - large-scale, epic Civil War 150th anniversary reenactment -- before battle. Young Confederate soldiers stand with muskets and flags in parade formation across tall grass field. 4k00:20JERUSALEM, ISRAEL - APRIL 17: Jews Pray at the Western Wall during the Passover Holiday, April 17 2014 in Jerusalem, Israel. Minimally processed Apple ProRes 422 (HQ). hd00:09Business men in black dresses with the Glove is exchanging the overnight bag with the bag of money in a night park. Night racket.